The National Cherry Blossom Festival marks the beginning of spring season across the DC area with its annual shower of cherry flowers. These cherubic trees blooming in pink exuberance all was once a gift symbolising friendship between USA and Japan. Due to the deep Japanese roots of the festival, most events reflect a strong east Asian theme. One such event is the Sakura Matsuri one-day festival. This event takes place in the Capitol Riverfront neighbourhood and showcases vibrancy of Japanese martial arts and culture. 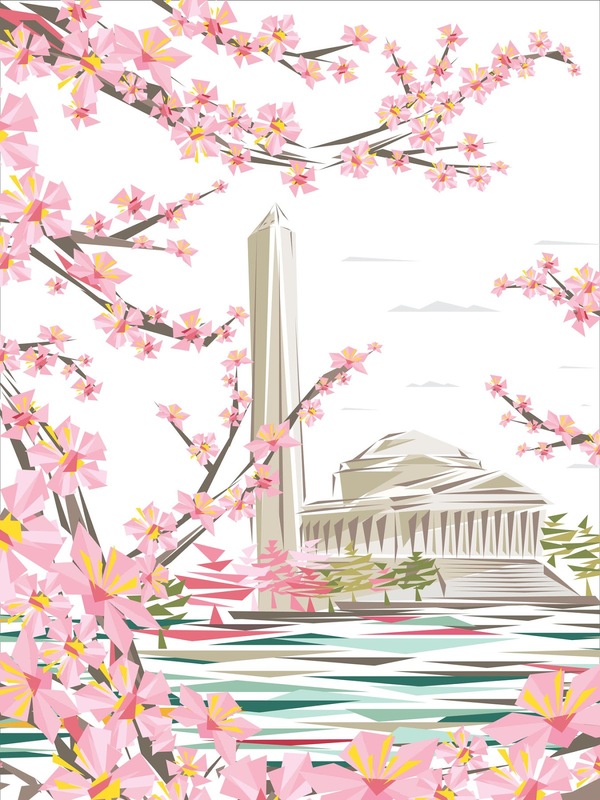 Cherry blossom-themed activities occur in numerous places such as the Smithsonian American Art Museum, the Library of Congress, at the Washington Monument and the Anacostia Park. This festival brings many districts and counties together in celebration of spring. Often, malls and other town centres host cherry-theme parties and gala events. The National Cherry Blossom Festival is officially inaugurated by the lighting of a 300-year old Japanese stone lantern. The Mayor of Tokyo gifted this lantern to Washington DC many decades ago. A gathering of parades, marathons, cultural exhibits and spring-theme events, the festival celebrates the happy welcome of warmth in a spell of 3 weeks. Usually, the festival begins in mid-March and continues to mid-April. The famous Blossom Kite Festival on the Washington Monument grounds is a prime attraction. It showcases many creative kite masters from across the globe and their kite-wielding skills. This is a free and great activity for kids and teens. The official website has the updated date of the signature event. The festival concludes with a brilliant theme firework display along the southwest waterfront. This beautiful array of colours and lights can be best viewed from the Titanic Memorial or the District Warf. Don’t miss it! Everything you need to know about the cherry blossoms of Washington DC – here! The National Cherry Blossom Festival 2017 event schedule – Click here!